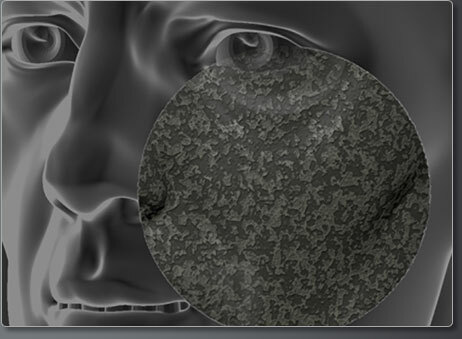 Surface Noise gives you unprecedented control over the look and feel of your 3D surfaces. You can apply an endless variety of noise types directly to any surfaces regardless of polycount while maintaining the strength, size, and color of the noise you want to work with. 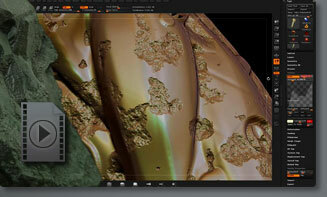 Surface Noise gives you the ability to create looks that would be impossible or too time consuming to model. You can apply noise to your whole model or only to the selected areas. Creating rusted metal, stucco, chipped paint, battle damage and more is just a click away with Surface Noise. By taking advantage of up to a billion polygons, you can apply the finest noise details to your surface, which can then be converted to texture, normal and displacement maps. 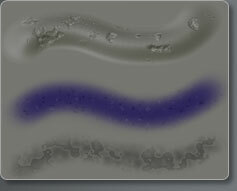 You can also apply noise to all of your brush strokes. Paint, sculpt, and mask using any style of surface noise. Build and save libraries of different noise types, which can then be applied instantly to any mesh! Because this is a nondestructive process you can turn noise on and off, as well as change the look of the noise you are using at any point in your modeling process. Get the education you need on Surface Noise and other power ZBrush features in the ZClassroom.